It has hardly been a few months that British luxury car manufacturer, Rolls-Royce’s customers have booed the idea of an all-electric model. Something similar has happened again. This time the customers have expressed their zero interest in diesel variants too. As per the statement of an inside source, Rolls-Royce customers have a perception that opting for diesel implies compromising. This perception would lead to disliking of the idea of diesel inclusion. In fact, its no new story that many of us, especially old buyers, have a perception that diesel is the fuel for trucks. Although the technical and chemical situation behind diesel has changed in a much better way now, but it still lags somewhere behind in terms of refinement as compared to the gasoline counterparts. Earlier, when the automaker took a prototype electric Phantom sedan on a world tour followed by the feedback of its customers, Rolls Royce later mentioned that it had ruled out taking the sedan into production because of low demand even though the car left its customers impressed by its near-silent drive and strong acceleration. Moreover, another factor that worked in favor of dropping the concept of all-electric model was the lengthy charging time for the car. Compromises come into play when you have limited budget. But when you are ready to shell out hundreds of thousands of dollars, you certainly aren’t expecting to compromise, are you? It was Rolls-Royce’s co-founder, Sir Henry Royce, who gave answers to such questions. He said, ‘Accept nothing nearly right or good enough.” Rolls Royce models in diesel or all-electric avatars are certainly compromises for the customers. 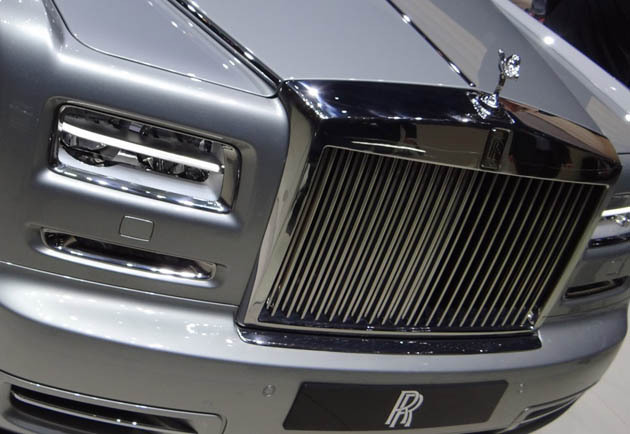 To be precise, diesel or all-electric Rolls-Royce models are actually good enough. But at the same time, abiding by Sir Henry Royce’s quotation would certainly forbid you from accepting it then.